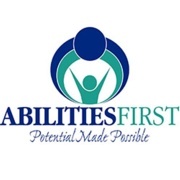 Abilities first believes people with disabilities have the opportunity to achieve their unique potential and quality of life. We work to empower people with disabilities to achieve their unique potential from birth through life. We are so grateful for the support of the Cincinnati International Wine Festival. Because of this support, we can provide many of the services offered to our nearly 800 clients. Clients like Carson. 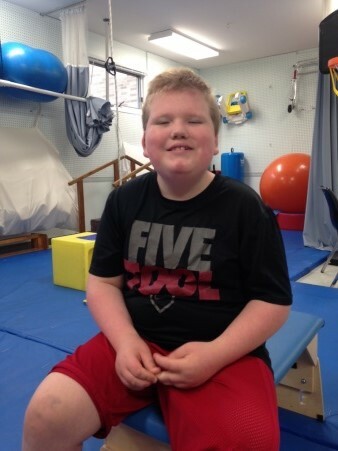 Carson is an energetic, incredibly smart 8-year old who likes to be outside playing baseball and basketball. He also likes arts and crafts projects and playing MineCraft on the computer. In 2009, at the age of 2 1/2 , Carson and his family began their journey with Abilities First. When Carson first started receiving services from Abilities First, he was non-verbal and his parents were seeking answers. Carson and his family have worked diligently on his progress for many years and Abilities First has been by their side every step of the way. With the assistance of the therapy team at Abilities First and the generous support of the Cincinnati International Wine Festival, Carson’s diagnosis of Smith-Magenis syndrome was identified and a plan of action was put into place. Smith-Magenis syndrome (or SMS) is challenging to diagnose. It is a chromosomal disorder characterized by a recognizable pattern of physical, behavioral, and developmental features. It is caused by a missing piece of genetic material from chromosome 17, referred to as deletion 17p11.2. It is estimated that SMS occurs in 1 out of 25,000 births. SMS is under-diagnosed, but as awareness of it increases, the number of people identified grows every year. Carson’s individualized plan included speech and occupational therapies. Over the years, Carson has dramatically improved in his ability to have simple conversations with old and new friends. He verbalizes what he likes and what he doesn’t like, and especially enjoys tattling on his sister! This is one of the amazing therapy stories from Abilities First.